The graceful & stylish Net Chair. 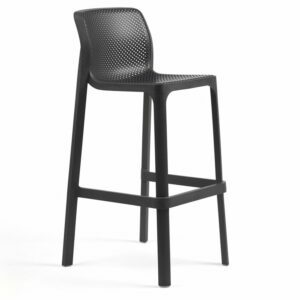 A single piece monobloc chair with elegant contours and unique perforated aesthetics – the outcome of complex 3D modelling & machining. Constructed of UV & weather resistant fiberglass poly-resin, it’s built to withstand the outdoors, though its visually appealing European design is so robust a significant portion of NZ sales are destined for indoors.